Below is a selection of some of the customers and what they think about the service. Ongoing Warehouse AB has 230 logistic companies as clients and a few thousand goods owners products run in the systems daily (October 2018). The customers are small, midsized and large logistics providers - the whole spectrum of sizes. Most of the clients are from Scandinavia and nearby countries, like Sweden, Denmark, Norway, Estonia, Italy, Belgium, Germany and Finland. Below you can read more about what some of the customers say. Börjes Logistik & Spedition is a successful European carrier and logistics service provider. Head office in Nybro, Sweden and a German branch office in Erfurt. With our own vehicles, carriers on fixed contracts and a strong, well established network of collaborative partners we have the organization for complicated transport assignments and the expertise to design overall solutions within logistics and forwarding. Third party logistics is produced in five warehouses located in Sweden and Germany. How the system is used: We have over 100 integrations to our customers systems, which has made Ongoing an important part of their supply chains. Most of the integrations are built by us through Ongoing’s open API, and our own system developers wave also build integrations to the automation API for PDAs and tablets. Ongoing is used for handling most of our order flows. Greatest benefits: The stability and uptime are something we value, as well as the open API and how flexible the system is. 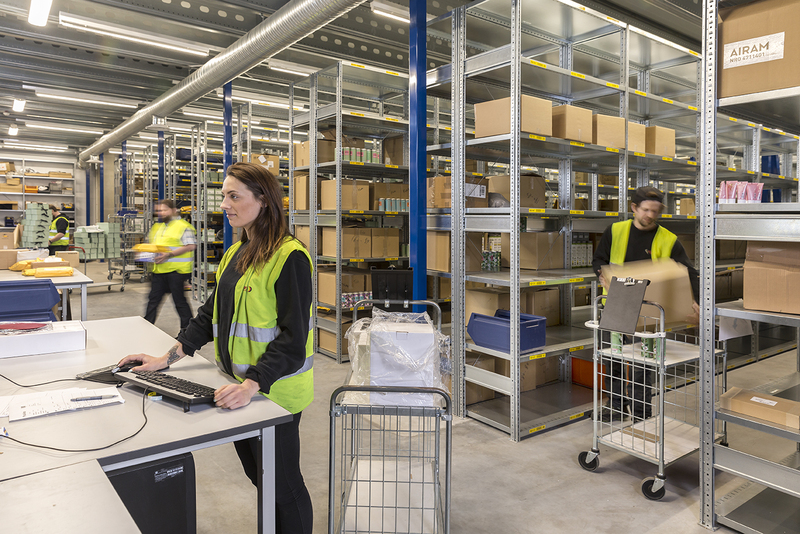 With a total of 122,000 m² of different types of hot and cold storage space Kaukokiito is one of Finland’s largest fulfillment providers. They offer all types of logistic services from transports to storing, picking and packaging, but also further processing such as stock records, transport documents, IT services, dispatch tasks, and of course shipment for the next business day almost everywhere in Finland. How the system is used: Integrations through the API. Scanning is used for in- and outbound orders. Greatest benefits: The system is easy to integrate to external systems, we use the API to integrate many of our customers ourselves. It’s also a flexible WMS that is easy to adjust to our processes and helps us streamline our order flows. Aditro offers services within 3PL, Staffing, 4PL and Customs. The base is our logistics centers located in Jönköping, Borås, Nykvarn and Kopstad (NO). HQ is located in Stockholm. How the system is used: Ongoing WMS is widely used in the business, primarily to streamline our processes within delivery, picking & packing and delivery but also for cross-docking, business monitoring and other logistics processes. The system is of course also used for integration with our customers, and with other parts of our business such as automation solutions, TA and customs systems, label printing according to GS1 etc. 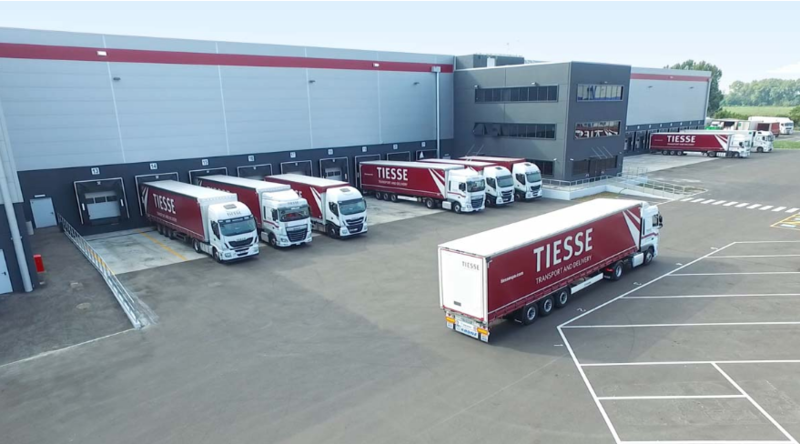 Tiesse was formed in 2003 as a business specialized in national transport and, over the years, has assimilated the proficiencies of the other partners established with the company to arrive at its current dimensions. The care over detail, the intrinsic quality and the expedience of the services is what has always distinguished the activities of the Group with regard to national and international transport, as well as the logistical organization of goods. We follow our Clients actively and punctually, resolving any type of requirement with services designed and customized on the actual needs of each client. Tiesse S.p.A. is today a group involved in distribution with its own notable NETWORK, with a fleet of vehicles and a widespread and logistically functional distribution over the national territory, highly specialized in the Large-Scale Retail Trade, in LTL transport, in hotel and catering supplies and ADR transport. Beco Lager AS was founded in january 2008. The fulfillment warehouse is located in Torpebaugen 8 in Sarpsborg. The location is very central next to the E6, close to the Østfold towns and only 45 minutes from Oslo. 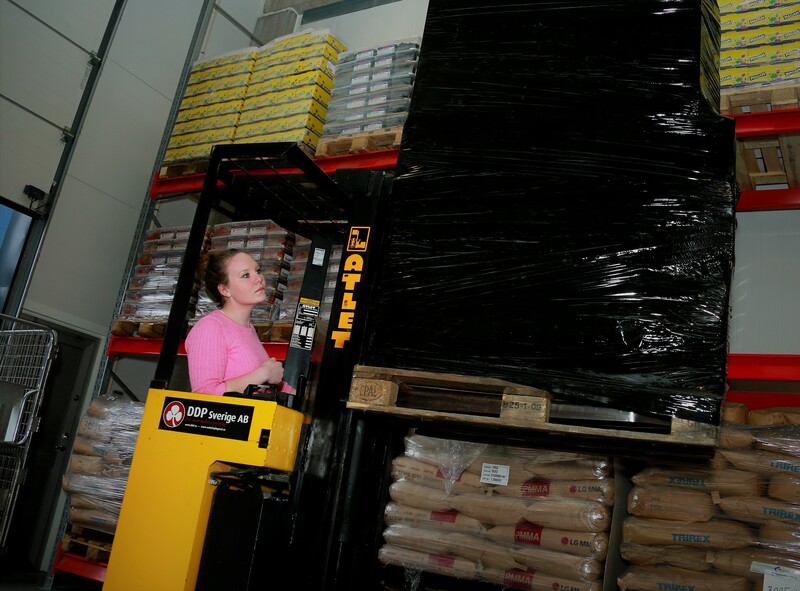 Activities: Fulfillment warehousing for several customers with great product variations. 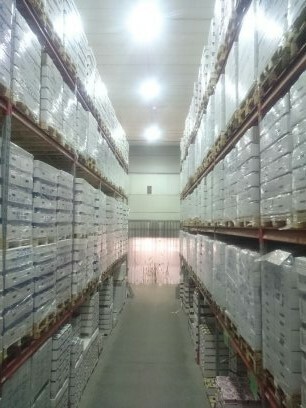 How the system is used: Ongoing Warehouse is used for order management, inventory control, picking and packing and booking of transport for our customers. Greatest benefits: The biggest benefit is the standardization. It’s a tool that works for all types of order flows, which makes them more efficient in day to day work. Training for new customers is easier as is onboarding of new customers. FIFO is easily used when needed. "Business concept development for eCommerce fulfillment services"
Boomerang Distribution is a private owned 3PL provider specialized within eCommerce. Boomerang has enjoyed exceptional growth during the above mentioned period and Ongoing warehouse has contributed to a great extent in standardizing our internal processes and providing a scalable system process to support a very dynamic business environment. Activities: eCommerce Third party logistics provider. How the system is used: Integrations with eCommerce platforms and customers systems. Integrations with transport/ distribution systems. Scanning / barcode, Customers Log-in, and much more. Bulk / picking storage replenishment. Greatest benefits: "Integrations, solutions centric and flexible within a changeable business environment"
"Technology driven 3PL for retailers, wholesale distributors and e-commerce"
360 Logistics is a technology driven 3PL specialized in handling goods for the retailers, wholesale distributors and e-commerce companies. Our modern and clean facilities centrally located in Oslo offers secure and efficient storage for our clients. 360 Logistics was founded in 2018 with the goal of revolutionizing the 3PL sector and fixing the inefficiencies we had experienced ourselves from the established 3PL service providers. Using leading SaaS solutions and our experience from logistics, Nordic entrepreneurship and big four consultancy services. We believe in putting the client first and provide the ultimate 3PL service by combining classical 3PL with value-added services such as robotics driven accounting, consultancy services and website development through tried and tested partners. Activities: Third party logistics provider for retailers, wholesale distributors and e-commerce. How the system is used: As a WMS with integrations to most ERPs and e-commerce platforms in the Nordic market. We utilize Ongoing to the maximum extent from handling POs, receipt of goods, inventory management, order handling, pick & pack, and integration to TA systems. Our business is truly paperless. Greatest benefits: Technology driven, 4PL level of service including 3PL, website development, accounting and more, located within the city of Oslo, specialized for consumer products. 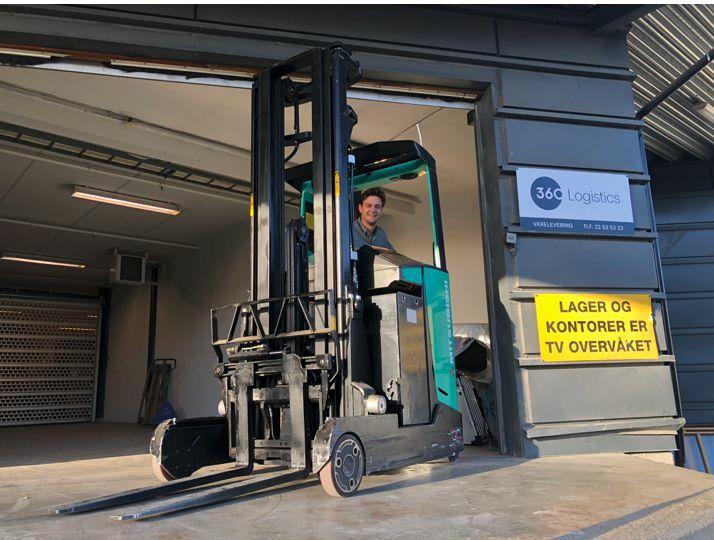 "Flexible WMS that is easy to integrate with our customers systems"
Alwex Lager & Logistik AB is part of the Alwex Group and aims to help businesses streamline their logistics flows by offering all kinds of logistics services from its logistic center in Växjö, Sweden. The company has over 54 000 m2 warehouse space as well as cold storage facilities. The company started using Ongoing 2011 and is now using the system for large amount of customers. Activities: Third party logistics and cross-docking. How the system is used: Integrations with customers systems. Scanning / barcode for effective handling of food logistics and other goods. Greatest benefit: Integrations with customers systems. Transport companies connect directly to the storage system and streamline the flow of goods. "Combination of web-based and easy to integrate is great!" M3 Logistics is a fast growing third party logistics provider in Stockholm. M3 Logistics started using Ongoing Warehouse 2009 and has step-by-step increased the usage of the system. Today, the system is used for handling of a large number of demanding customers such as Odd Molly, Hunky Dory and Profoto. How the system is used: Integrations with customers systems. Scanning / barcode, Serial number, Customers Log-in, etc. Greatest benefits: "Integrations with customers systems. Flexibility, which means that the system quickly can be adjusted to our customers needs and demands. Customer log-in is a great benefit"
"Our mission is to provide professional logistics and optimize the flow of goods for everyone", says Rune Wright Lia at Colliflow. With expertise in third-party logistics, Colliflow has the mission to become the best alternative for small- and middle-sized e-businesses. The company was established in 2013 in Skien, Norway and as of today they have about 30 customers. Activities: Third party logistics for e-commerce businesses. How the system is used: To automate and streamline the warehouse management. Via seamless integration with most ERP and and e-commerce systems it decreases the manual labor and decreases time from order to delivery. Greatest benefit: “Rapidity! Automated flow of goods and orders, thanks to the integrations with our customers, makes us able to pick and deliver very quickly. Often, just a few minutes after the end-customer has ordered something in the e-commerce he receives a confirmation that the order has been shipped and a tracking ID. "..giving us the ability to be transparent and open to our customers"
Accelerator AS is a Norwegian privately held company with a wide offer within third-party logistics. Accelerator started working with Ongoing Warehouse in 2014 and appreciates the cloud service. The company uses the WMS for a wide range of goods. From fast-moving consumer goods to food and large machines. The company offers their services to both companies working with B2B and B2C. How the system is used: To simplify and improve the efficiency of logistics and visualize the order processing to their customers. "It´s important for us to adjust our operations to our clients needs"
Almroths is a family-owned logistics provider with 80 years of experience. The company offers creative and profitable logistics solutions for it customers. 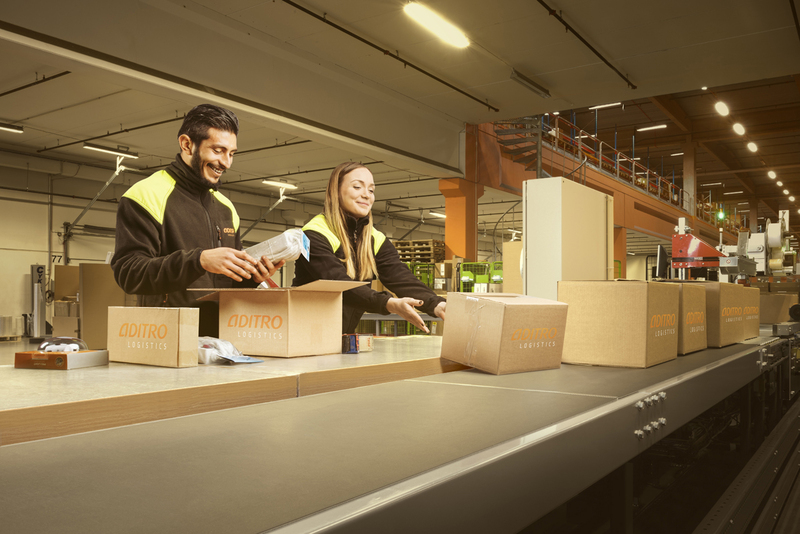 Almroths deployed Ongoing Warehouse 2011 and today the company runs their large 3PL-operations in the system, with a large number of clients and users. How the system is used: Integrations with customers systems. Scanning / barcode, Customers Log-in, etc. We use the system for all our 3PL-services. Greatest benefits: "The WMS is a flexible system and it is easy to adjust the system to our customers different needs and demands. Its fast and easy for both us and the team at Ongoing to do the changes that are necessary. "A web-based WMS that is very easy to use for both us and our customers"
GP-Last started to use Ongoing Warehouse in the beginning of 2011. GP-Last is one of Swedens largest transport companies. Third party logistics is a growing part of the companys business. Greatest benefits: "Very easy to use for both us and our customers. Web-based system is a must for us and our customers. Exeptional fast to get the system going"
"The system generates more customers"
Roxtrans mission is to provide customer focused logistics and warehousing services. Our 3PL business is growing and we rely on our WMS, Ongoing Warehouse, to give our customers the best service and information possible. To be able to offer a well thought out WMS is probably our most valuable customer advantage. Activities: Large central warehouse in Linköping. How the system is used: Warehouse management and EDI links. Greatest benefits: "Enhanced our offering to customers and increased sales by 100%. 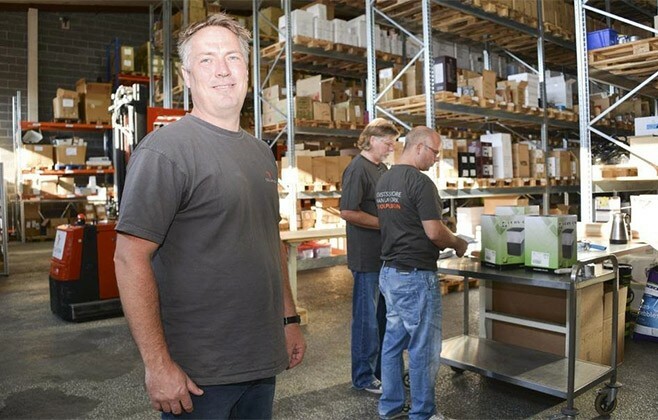 Ongoing is our most valuable customer advantage"
"We got better control of our business and more efficient 3PL-operations"
Storex is a family owned third party logistics provider with warehouses in Gothenburg and Stockholm. To get better control and more efficient warehouse handling, the company switched WMS to Ongoing Warehouse in 2011. Since then the company has grown rapidly and uses the system extensively for all customers. Activities: Third party logistics provider. How the system is used: Integrations with customers systems. Integrations with transport/ distribution systems. Scanning / barcode, Customers Log-in, and much more. Greatest benefits: "Seamless electronic communication from customers system, to WMS and further on to transport/distribution"
DDP Sverige AB is a 3PL company with warehousing in Sweden and Denmark specializing in fulfilment for e-commerce. Activities: Third-party logistics with a focus on e-commerce with flexible solutions for e.g. enveloping, printing of marketing materials, repackaging, production etc. How the system is used: We use Ongoing to streamline the daily work and minimize manual work by the integrations with web shops, transport systems and ERP-systems. Even the customers without integration feel great security in the user-friendly customer login. Greatest benefits: With the help of Ongoing WMS, we can minimize the paperwork and quickly follow up on returns, deliveries and other statistics. The system can be customized to each customer, and this has been important, since no order flow is the same.